NEW YORK, March 15, 2016 – The Public Relations Society of America (PRSA) is looking for those professionals who are interested in taking on the next great challenge in their career. The annual PRSA Board of Directors nominating process is now open and all qualified individuals are encouraged to apply for a seat. 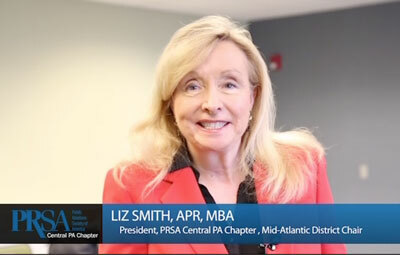 Members of the Board serve as the public face and voice of the organization, act on behalf of the entire public relations profession, assist with committees and provide strategic guidance and valuable insight into industry trends. Added Cohen, “Additionally, for the second year in a row, national board service will also be open to non-APRs with one At-Large seat available to qualified PRSA members including both APRs and non-APRs.” The Nominating Committee is seeking candidates to fill the three annually available Executive Committee positions as well as Director positions for five Districts and one At-Large position. On March 25, a teleconference hosted by members of the PRSA Executive Committee and PRSA’s chief executive officer, Joseph Truncale, will be conducted to discuss the requirements for serving on the PRSA Opens Search for 2017 Society Leadership PRSA Board of Directors and to answer candidates’ questions. All applications must be submitted by Tuesday, June 14. Information regarding the requirements board service, eligibility, and the online application are available on PRSA’s website. The PRSA Nominating Committee will interview qualified candidates when it convenes July 29-31, 2016 at PRSA’s Headquarters in New York City. In reviewing candidates, the Committee will assess qualifications such as leadership skills and professional accomplishments. Served as a public relations professional for 20 or more years, with increasing levels of responsibility. To be eligible for an officer position, the candidate must meet the eligibility criteria required of a District director and must have served on the PRSA National board. A person currently serving as a director may seek to be elected for an officer position. Final selections will be presented for a vote by the PRSA Leadership Assembly in Indianapolis, Ind. on Saturday, Oct. 22. For questions about the nomination process, contact Donna Jonas at PRSA Headquarters or by phone at (212) 460-1403.